Although not compulsory we do encourage pupils to take examinations when we feel they are ready. Examination’s give pupils a sense of purpose and encourages them to achieve to a higher level, it also gives them a greater sense of confidence and encourages pupils to believe in themselves. For those parents who are unfamiliar with exam procedure, this usually entails a minimum of 6 extra coaching sessions, these are special classes, which familiarise the children with exam dances, partner work, and etiquette, and are vital for their exam development. Parents are always encouraged to watch these classes. 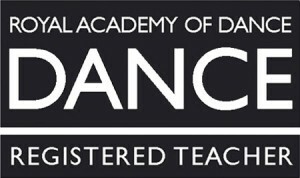 The Royal Academy of Dance is an awarding body recognised by the Qualifications and Curriculum Authority (QCA) in England. To the right is a table of the Qualifications gained by the National Qualifications Framework (NQF) comparing the level of RAD qualifications recognised by the QCA.